In our bi-annual review, we look at the positive changes, progression and innovation we’ve seen in the field of occupational health and safety during the first half of 2016. New regulations and sentencing guidelines have already seen custodial sentences handed out to certain directors, helping to make workplaces safer for employees. Alton Towers was fined £5 million after an accident that severely injured several young people. Security firm G4S Cash Solutions was fined £1.8 million for a serious lack of compliance in maintaining water systems, and – although it could not be directly linked to the workplace – an employee had contracted legionellosis. Directors of two companies were given custodial sentences; one for six years for gross negligence manslaughter, and the other for six months after an employee was killed on a construction site. Only time will tell, but it’s possible that as the courts become more familiar with the guidelines, sentences will become even stricter. We hope this will result in the new regulations acting as a true deterrent and lead to improved management of health and safety. In June a private members bill giving the Secretary of State the ability to permit the Executive to provide and charge for services not currently delivered or permitted received a first reading – it expired with the end of the 2015-16 session. Enacted to implement a European Directive, the hazards are long recognised and have been regulated under the HSW Act itself. What else has been happening this year? In August the Construction, Design and Management Regulations, Northern Ireland 2016, came into force. They’ve been introduced to simplify the previous 2007 regulations while maintaining the existing framework for the management of health and safety risks. The Dangerous Goods in Harbour Areas Regulations 2016 was introduced on 1st October. Simplifying and shortening existing regulations, they maintain existing levels of health and safety protection for dangerous substances in harbour areas and create no new duties. The Railways, Northern Ireland Safety Management Amendment Regulations 2016 also came into effect. They amend existing regulations to implement Directive 2014/88/EU concerning safety indicators and methods of calculating accident costs. Food Hygiene Amendment Regulations 2016 come into force in England, Scotland and Wales. Moving into November, we saw the Safety, Health and Welfare at Work, General Application Amendment No 3, Regulations 2016, introduced in Ireland to improve the reporting of workplace accidents and dangerous occurrences. Work on the development of ISO 45001 has continued throughout the year. A set of proposed requirements, ISO45001 will provide organisations with a framework to build an effective management system to cater to their own particular occupational health and safety needs. It will be the first truly international standard for managing occupational health and safety, and worldwide experts will be meeting this autumn to finalise and agree on the second draft before the approval process continues. In May 2018 a final registration deadline for hazardous substances imposed by REACH becomes operative. Registration requires the submission of a huge amount of technical detail which has to be gathered, submitted in the correct form and accepted. After the deadline it will be illegal to manufacture or sell unregistered substances. Although the deadline is some time away, the amount of detailed work required has led the European Chemicals Agency (ECHA) to begin a campaign. This has been developed to encourage suppliers and manufacturers to check whether substances that are critical to their production, or manufactured or imported in low volumes of between 1-100 tonnes per year will be registered. 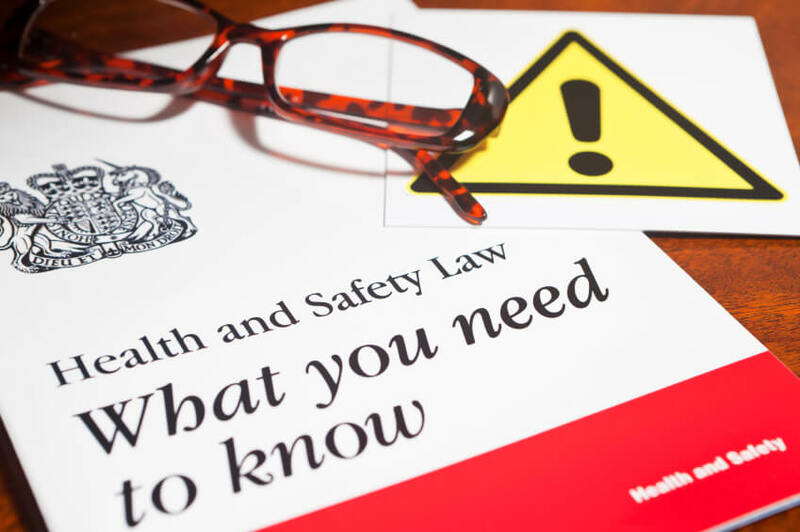 Peninsula members who choose our Health and Safety service can rest assured that they’ll always have access to the latest information and guidance on legal and best practice standards. We also provide routine safety management audits by trained, qualified professionals, and the comfort of a 24-hour Advice Service which can be accessed as required by calling 0844 892 2772.